You are at:Home»Lex Pedia»Lex Articles»First in time prevails over the others ! The transfer cannot prejudice the rights of the transferee by any subsequent dealing with the property. This self-evident proposition is expressed in the equitable maxim qui prior est tempore potior est jure. This means that the first in time prevails over the others. Section 48 of the Transfer of Property Act embodies this principle in legislation. The application of this maxim in English law is complex by the preference given to the legal estate over the equitable interest. This complication does not occur in Indian Law, but the rule in India is subject to certain exceptions which will presently be noticed. 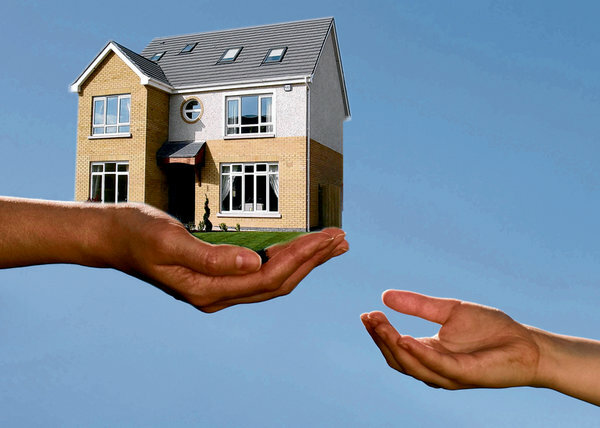 If there are successive transfers of the same property, the later transfer is subject to the prior transfer. Mere registration does not convey the title to a purchaser. A transfer operates from the date of execution of the deed, although it may have been registered at a later date. Registration is not a formality which creates any rights. It is prima facie proof of intention to transfer the title. It is no proof of operative transfer. Customarily, the sale deed which was registered first has to prevail in the matter of conveyance of title over others. The title under sale deed passes on the date of execution of the sale deed, even if the registration of the sale deed is completed on later date, it must relate back to the date of sale. Therefore, an agreement to sell executed prior to date of attachment of judgment, but registered thereafter, would prevail over such attachment. Section 48 of the Transfer of Property Act 1882 is founded upon the important principle that no man can convey a title than what he has. If a person has already affected a transfer, he cannot derogate from his grant and deal with the property free from the rights created under the earlier transaction. Section 48 is an absolute in its terms and does not contain any protection or reservation in favour of a subsequent transferee who has no knowledge of the prior transfer. The ownership under sale deed passes on the date of the execution of the sale deed, irrespective of the date of registration. So, a registered sale deed will not be defeated by another deed executed later, but registered earlier. And if a deed is registered after suit is filed, the transfer will not be subject to lis pendens if the deed was executed before the suit was filed. The doctrine of lis pendens was intended to strike at attempts by parties to a litigation to circumvent the jurisdiction of a court, in which a dispute on rights or interests in immovable property is pending, by private dealings which may remove the subject matter of litigation from the ambit of the court’s power to decide a pending dispute of frustrate its decree. The whole object of the doctrine of lis pendens isto subject parties to the litigation as well as others, who seek to acquire rights in immovable property which are the subject matter of litigation, to the power and jurisdiction of the Court so as to prevent the object of a pending action from being defeated. The real test is the intention of the parties. In order to constitute a ‘sale’, the parties must intent to transfer the ownership of the property, and they must also intend that the price would be paid either in praesenti or in future. In case of Duraiswami Reddi v. Angappa Reddi it has been held that the prior transferee would be entitled to enforce his rights though his document is registered later and even if the subsequent transferee entered into transactions bona fide without knowledge of the first transaction. It was held that this result was implicit and was a direct consequence of the combined operation of Section 47 of the Registration Act and Section 48 of the Transfer of Property Act. It is also observed that the right of priority of the first transferee would be postpones only if the later transferee establishes any informative circumstances like fraud, estoppels or gross negligence. Where two deeds bearing different dates are registered on different days, priority as between them is ascertained with reference to the dates of the deeds and not with reference to the date on which they were respectively registered; and this priority is not influenced by the fact that the party having the later deed is in possession of the property. Where after execution, but before registration, the deed is lost and another had to be executed in its place, the vendor having between the two dates re-sold the property by a registered deed to another with notice of the prior sale, it has been held that the first purchaser was entitled to a decree on his sale-deed. Section 48 determines the priority when there are succeeding transfers. It provides that where a person purports to create by transfer at different times rights in or over the same immovable property, and such rights cannot all exist or be exercised to their fullest extent together, each later created right shall, in the absence of a special contract or reservation binding the earlier transferees, be subject to the rights previously created. Section 49 of the Registration Act provides that until the document is registered, it shall not affect any immovable property nor can the document be received in operation of the provisions of Sections 48 and 54 of the Transfer of Property Act and there would be compliance of provisions of Section 54 of the Transfer of Property Act as well as Section 49 of the Indian Registration Act. The question of main concern has, therefore, to be determined only with reference to the principle embodied in Section 48 of the Transfer of Property Act. Section 48 incorporates an important principle that no man can convey a title better than he himself possessed. If a person has affected a transfer of property, he cannot thereafter deal with the same property, ignoring the rights already created by the earlier transfer effected by him. Therefore, According to Section 48, the transferor cannot prejudice the rights of the transferee by any subsequent dealing with the property. This self-evident proposition is expressed in the equitable maxim qui prior est tempore prior est jure. The section is just an expression of this well-known common law principle. S. Arunachalam v. Sivan Perumal Asari, AIR 1970 Mad 226 at p.230. GN Devan v. Habitunissa & Others (1987) SCC 688 (Supp). Nalappa Reddi v. Ramalingachi Reddi, I.L.R. 20 Mad. 250.